Engaged! Time to celebrate! 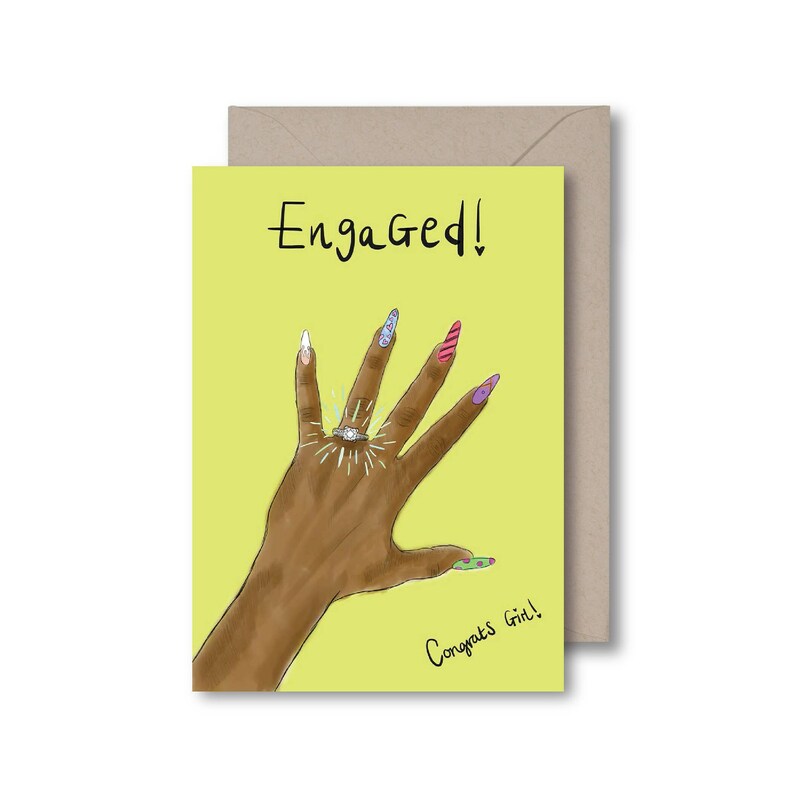 Congratulate your girl with this fab, super cute card! Glitzy Gems have been carefully placed to give the ring that extra WOW! She will just love the card! It’s so cute! I love seeing the representation of people of color and the sellers customer service was excellent. I got my card really fast.